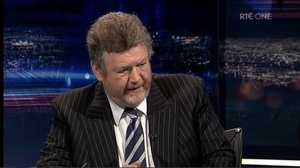 James Reilly appeared on RTE’s Prime Time last night with Richard Crowley. 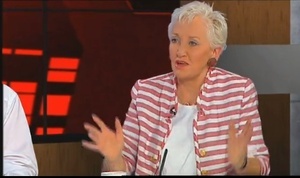 A little later Terry Prone appeared on TV3. A night of false humility, faux-angry four-letter usage and more spin than Lance Armstrong. Ms Prone also flatly denied working for the Health Minister except for a “tiny contract” to polish speeches. Compare the quotes. Then decide. Bottler’s Back Someone Thought The Scissors Was A Good Idea Was The Communications Clinic Hired To Deal With Mission To Prey Before It Was Even Broadcast? Will He Fall On His Swords? Posted in Misc and tagged James Reilly, Terry Prone at 12:33 pm on September 7, 2012 by Broadsheet.